Al'Khafaji AM, Deatherage D, Brock A. (2018) Control of Lineage-Specific Gene Expression by Functionalized gRNA Barcodes. ACS Syn Biol. doi: 10.1021/acssynbio.8b00105. Howard GR, Johnson KE, Ayala AR, Yankeelov TE, Brock A. (2018) A multi-state model of chemoresistance to characterize phenotypic dynamics in breast cancer. Sci Rep 8 (1), 12058. Jarrett AM, Lima EABF, Hormuth DA, McKenna IMT, Feng X, Ekrut DA, Resende ACM, Brock A, Yankeelov TE. (2018) Mathematical models of tumor cell proliferation: a review of the literature. Expert Rev Anticancer Ther. 2018 Sep 25. doi: 10.1080/14737140.2018.1527689. McKenna MT, Weis JA, Brock A, Quaranta V, Yankeelov TE. (2018) Precision Medicine with Imprecise Therapy: Computational Modeling for Chemotherapy in Breast Cancer. Translational Oncology 11 (3), 732-742. Joyce MH, Lu C, James ER, Hegab R, Allen SC, Suggs LJ, Brock A. (2018) Phenotypic Basis for Matrix Stiffness-Dependent Chemoresistance of Breast Cancer Cells to Doxorubicin. Front Oncol. 8:337. doi: 10.3389/fonc.2018.00337. Joyce MH, Allen S, Suggs L, Brock A. (2017) Novel Nanomaterials Enable Biomimetic Models of the Tumor Microenvironment. J. Nanotechnol. Article ID 5204163, https://doi.org/10.1155/2017/5204163. Clark A, Bird N, Brock A. (2017) Intraductal Delivery to Rabbit Mammary Gland. J Vis Exp. 2017, 121:e 55209. Brock A, Krause S, Ingber DE. (2015) Control of cancer formation by intrinsic genetic noise and microenviromental cues. Nat Rev Cancer, doi:10.1038/nrc3959. Kanapathipillai M, Brock A, Ingber D. Nanoparticle targeting of anti-cancer drugs that alter intracellular signaling or influence the tumor microenvironment. 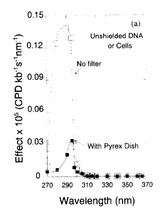 Adv Drug Delivery Rev 2014, 79, 107-118. Krause S, Brock A, Ingber DE. Intraductal injection for localized delivery to the mouse mammary epithelium. J. Vis. Exp. e50692, doi:10.3791/50692, 2013. Brock A, Goh HT, Yang B, Yu L, Li H, Loh YH. Cellular reprogramming: A new technology frontier in pharmaceutical research. Pharm Res. 29:35-52, 2011. Brock A, Chang, H., Huang, S. Non-genetic heterogeneity – a mutation-independent driving force for somatic evolution of tumours. Nat Rev Genet, 10:336-42, 2009. Brock AL, Ingber DE. Control of the direction of lamellipodia extension through changes in the balance between Rac and Rho activities. Mol Cell Biomech. 2(3):135-43, 2006. Joy MP, Brock A, Ingber, DE, Huang S. High betweenness proteins in the yeast protein interaction network. J Biomed Biotechnol. 2:96-103, 2005. Brock A, Huang, S., Ingber, DE. Identification of a distinct class of cytoskeleton-associated mRNAs using microarray technology. BMC Cell Biology. 4:6, 2003. Brock A, Chang E, Ho CC, LeDuc, P, Jiang X, Whitesides GM, Ingber DE. Geometric determinants of directional cell motility revealed using microcontact printing. Langmuir. 19 (5); 1611-1617, 2003. Parker KK, Brock AL, Brangwynne C, Mannix, RJ, Wang N, Ostuni E, Geisse, NA, Adams JC, Whitesides GM, Ingber DE. Directional control of lamellipodia extension by constraining cell shape and orienting cell tractional forces. FASEB. 16:1195-1204, 2002. Brock A, Huang S. A novel trap for dynamic protein interactions in cytokine signaling. Trends Biotechnol. 20(4):145, 2002. Hendricks CA, Razlog M, Matsuguchi T, Goyal A, Brock AL, Engelward BP. 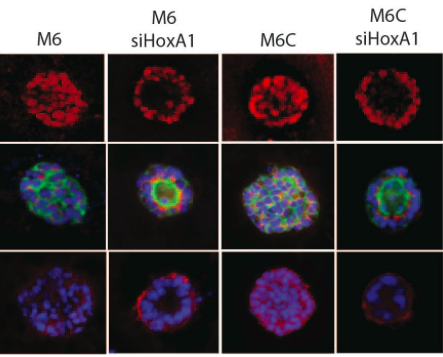 The S. cerevisiae Mag1 3-methyladenine DNA glycosylase modulates susceptibility to homologous recombination. DNA Repair. 1:645-659, 2002. Lepre A, Sutherland JC, Trunk JG, Sutherland BM. A robust, inexpensive filter for blocking UVC radiation in broad-spectrum ‘UVB’ lamps. J Photochem Photobiol B. 43(1):34-40, 1998.